Listing Office: Realty National, Inc.
An amazing renovation awaits in San Diego'™s popular Bay Ho Neighborhood! State of the art kitchen features an eat in dining area & breakfast bar perfect for entertaining. Huge living room w/ fireplace opens to family room w/ oversized Fleetwood sliders that bring the outdoors in. Mountain Views can be enjoyed from private backyard. A/C, separate laundry room, & a 2 car garage! SchoolsClick map icons below to view information for schools near 3225 Jappa Ave San Diego, CA 92117. Home for sale at 3225 Jappa Ave San Diego, CA 92117. 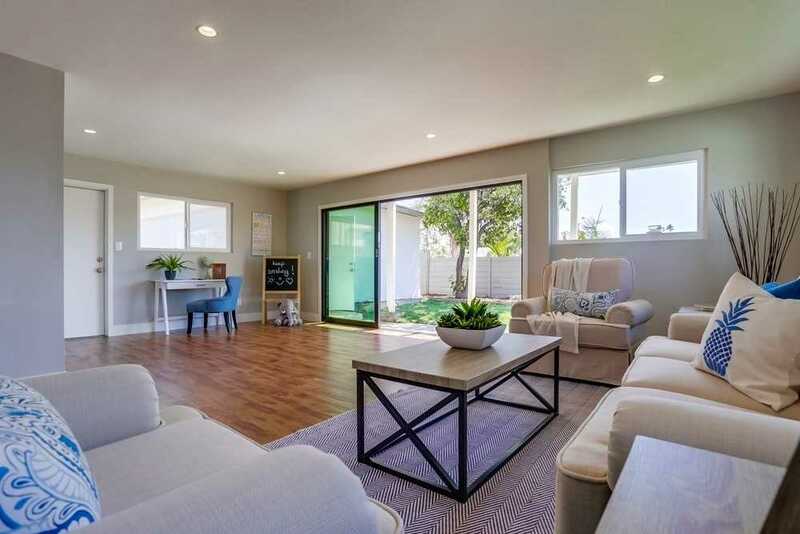 Description: The property at 3225 Jappa Ave San Diego, CA 92117 in the Bay Ho subdivision with the MLS# 190007577 is currently listed for $815,000 and has been on the market for 76 days. You are viewing the Sandicor listing details of the home for sale at 3225 Jappa Ave San Diego, CA 92117, which features 3 bedrooms and 3 bathrooms, and 1572 sq.ft. of living area.